“I love technology!” exclaimed a sprightly 74 year-old lady who was sitting next to me on a flight to Seattle. She had many a twinkle in her eye; sitting with a drink in one hand and reading from her Kindle in the other. From then on in we chatted merrily about her trip to the US and how ageing is in the body and not in the mind. She was fascinated with technological innovation and has been a Twitter, iPhone, Skype and Facebook user for years. As soon as there is a new app or device out she wants it. It would not have surprised me to see her in one of the long snakes at an Apple store last Friday when the new iPhone 5 was released. It made me think again how we really need to adjust our assumptions and prejudices about the ageing population and what ‘older people’ want. 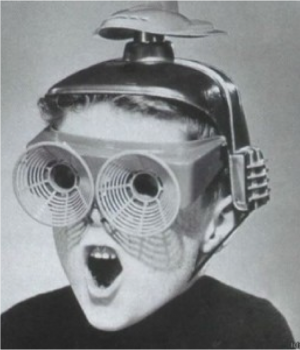 But not all novel technological developments hit the spot – whatever age you are – especially if they are driven by system efficiency and tree-saving rhetoric rather than creature comfort or cognitive amplification. The latest app that is guilty of this is the mobile boarding pass. 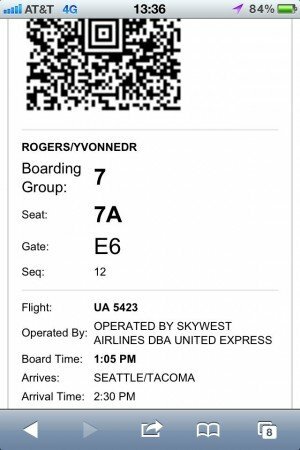 Mobile boarding passes have been around for a couple of years now but I – like many others – have chosen to stick with the tried and tested ways of printing them out at home or at a check-in machine at the airport. The reason being is that I can think of too many things that can go wrong – not least the phone battery running out of juice. I get very anxious flying and so try to avoid unnecessary risks that might increase my fear. “Select a link below to display your mobile boarding document on the screen of your mobile device. Scroll down to the barcode, and then scan the barcode at security checkpoints and at the gate to board your flight(s). Printed versions of mobile boarding documents will not be accepted. I clicked on the link in the hotel before we left and it took me straight to the boarding pass. It was really easy and I did not think about it again until we got to security. Then suddenly, I remembered I did not have a print out pass and started fumbling with my iPhone to bring up the mobile pass. The wi-fi took ages coming up and I started fretting. When it did show up I then needed to scroll through the long regulations page to confirm I was happy with the terms and conditions. The page is not designed for mobile phones and requires stretching it to make the tiny accept button big enough for a fat finger to press. More fiddling and fretting. Eventually, I was able to get to my mobile boarding pass and placed my iPhone on the security reader. Trouble was as I moved my iPhone from its portrait view when held in my hand to the scanner the phone’s accelerometer decided I wanted to look at the page in landscape mode and in doing so obscured half the QR code. Not very clever, I thought. The machine barked at me and stayed red. More fiddling to switch it back to portrait view. When I finally got through (the passengers behind me had started sighing) I was mightily relieved and so went to have some lunch. I put my phone away not thinking. But then at the security check at the gate the same thing happened again. Only this time I could not get the wi-fi to work. I really started to panic. What if they would not let me on the plane as I had no proof. If only I had that paper print out… I waited and waited for the pie-chart icon to appear at the top of my phone, cursing. Finally, it appeared; but then I had to go through the same rigmarole of accepting the terms and conditions of the airport free wi-fi. Then the portrait went to landscape mode and the QR code was not readable. More sighing behind me. More fuming inside me. Once through, I kept my phone awake by shaking it so that when I finally stepped onto the plane the web page with my boarding pass on it would still be showing. How stupid is that! But one resorts to desperate measures under duress. Once sat in my seat it then came to me in a flash. Why not simply use screen capture? And store it as a photo. At that point I really felt stupid. 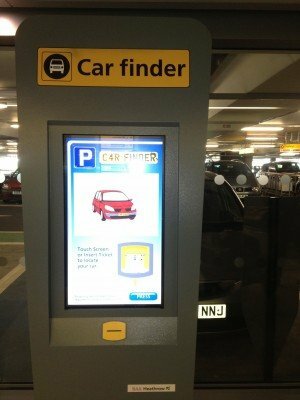 At Heathrow T5 on the way out I noticed for the first time a Car Finder kiosk next to the car park payment machine. What a great idea I thought remembering the times I’ve forgotten where exactly I had parked my car. Turns out Siemens made the system and is very proud of its efforts. I asked my driver to put his parking ticket in to see where his car was parked. He obliged. We were both marveling at how the system knows which parking spot you are in when the machine asked for him to type in his car number plate. He balked at giving away this information. I probably would not remember mine especially with jetlag. The system can work out which floor and roughly which section you are in – but not the actual parking place – based on the cameras it has throughout the car park by scanning your number plates. Not that clever yet if it can’t read the number plate that is printed on your parking ticket when entering the car park. Far smarter is the workaround my Intel colleague uses when he can’t find his car at the very large car park at his place of work – pressing his car alarm button on his car keys. It got me thinking – what happens when you lose your parking ticket? Technology not designed to help there. Instead, they slap a hefty fine on you.